As smartphones have become somewhat an essential companion of ours, throughout a day, there is nothing exciting to find that users prefer a device that lasts a day or even more — no one likes to mess around charging wires and other stuff in-between. Nevertheless, the fact has it that battery life of a smartphone does not depend upon capacity of its battery completely; on the other hand, it is more about how one uses the device! In that sense, a Lava Iris Fuel that’s having a battery of 4000mAh may fail to compete with the 2000-mAh-powered Moto G! 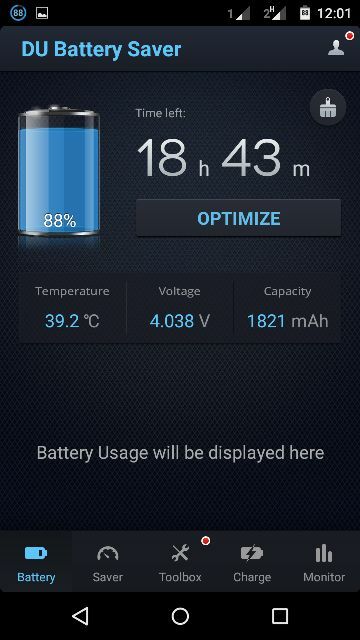 Despite the fact that several factors account for the draining down of battery, managing features, particularly connectivity ones, can do a lot good to preserving battery life, and that is the basic principle of DU Battery Saver — a popular battery management app to boost battery life of your Android Smartphone or Tablet PC. In this post, we shall have an unbiased review of this DU Battery Saver, exploring whether the app is effective in optimization of battery life, and we guess we can start with a brief introduction to the app. Basically, DU Battery Saver is a battery management application that has, in a comparatively shorter time, succeeded in becoming the popular choice of Android Smartphone users! Talking of our experience, we have seen DU Battery in majority of our friends’ devices, and the number is way too high when compared to other battery saver apps there in the Google Play Store. DU Battery Saver is actually free to use, but you can have the PRO version by paying $2.99 and the PRO version has extended features, some of which we will go through in this review. We’ll check out noteworthy features of DU Battery Saver along with common aspects such as simplicity of User Interface. 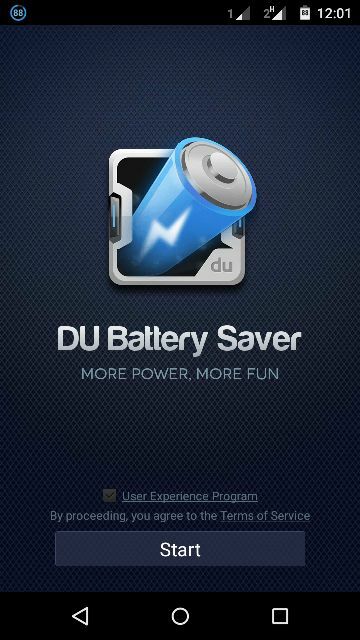 It has to be noted that we have used the basic version of DU Battery Saver and the Pro features will not be mentioned. As we said, DU Battery Saver is completely free to use, and the installation takes only a few seconds, given that you’d be using a decent internet connection to download — you can download the app either from DU Battery Saver site/Google Play store. Once installed, DU Battery Saver may take a couple of seconds to bring you the page, from which you can start your journey with DU Battery Saver. As soon as you click the Start button, you can see the main page of DU Battery Saver, which is labelled ‘Battery’. You’ll see five sectors in user interface of DU Battery Saver and each has to do with different aspects of optimization of your device battery. For instance, the Battery page gives us information about estimated time left on battery, your usage monitor once you have spent some time after installation of the app and there’s an Optimize button that gives a boost to device battery by doing some stuff such as closing background apps, suggesting turning-off of features etc without grabbing device control from your side. 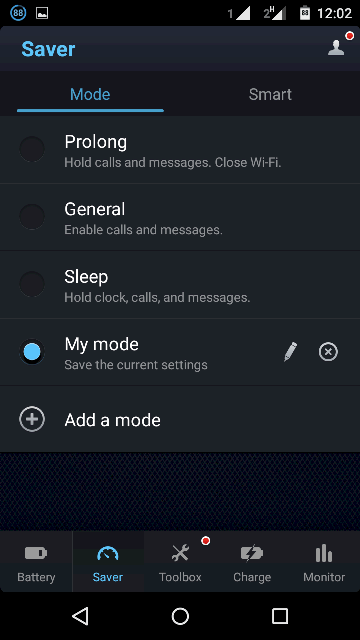 In the Saver section of the app, you can choose between modes that are meant for different purposes — while Sleep mode turns of connectivity features and lowers screen brightness, general mode controls those stealthily consuming features like Sync. 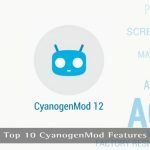 Also, there’s an option to create your own mode according to your convenience and these modes are quite helpful, in light of our experience, as they can help us boost battery life by 40% or so. They’re damn useful when you are the point of draining out! 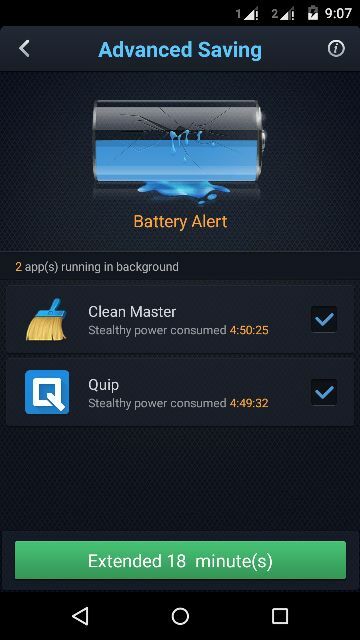 Although most features of DU Battery Saver are impressive enough, we loved the following features particularly. In the latest version, DU Battery Saver has implemented something named DU Aurora Engine, as a result of which it’s possible to see an Advanced Saving button, right after you have completed the standard optimization of battery. This section finds applications that are running and kills them as to improve battery life. To do this, however, you have to add DU Battery Saver into Accessibility list. The way you charge your Smartphone has a role in determining battery life of your device; in that respect, its matter of surety that Charge Monitor of DU Battery Saver serves the purpose well. Using this, you can have an estimate of whether your device had a healthy charge or not. Have you seen those spammy notifications in your notification bar, offering discounts and all? Did you know that the notifications are stealing your battery life — regret if you didn’t! Through the Notification Saving feature of this app, however, you can fix those things up, quite simply. Although not available in my Lollipop-running Moto G, DU Battery Saver provides switch widget that will be useful in instances when you want to manage connectivity features such as Mobile Data and Bluetooth, from home screen of your device. Considering all these, DU Battery is a great solution, as it lets you manage different aspects of the battery in an easy manner and thus to boost battery life, without actually taking control of your device. Particularly, we loved its charge monitor and notification saving. As you have to pay nothing, DU Battery Saver is a must-install for your Android! I have also using DU battery saver but only free version till. Yes I noticed in app that some of feature if we need to use they want upgrade so its not a bad deal to get pro in only few dollars really awesome I will be buy it very soon. Well I didn’t tried this DU battery saver android app and I guess I wasn’t aware of this app and I’d try it now. 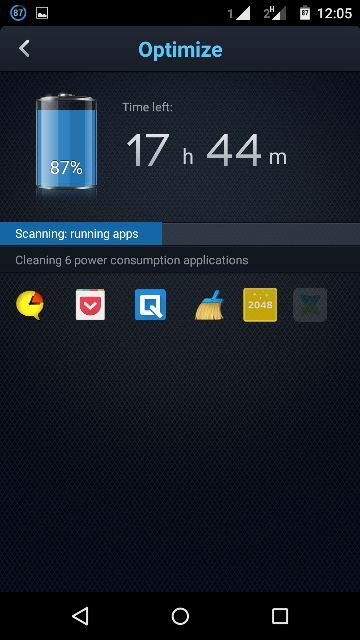 I had been using similar app called “Battery Defender.” It also has plenty of options, features, and tool at no cost. It has Sleeping mode to save extra power, Displays battery percentage in the notification bar, Fast Wi-Fi/Data/Bluetooth switch and much more. I will give DU battery saver a try. Thank You! At first, thanks for sharing this beautiful review of Du Battery Saver for Android. The app is awesome and really works. I use it, and it helps me to save my Android battery power. Du Battery Saver is the best battery optimization app I’ve used ever.